According to Forbes data, the Russian business tycoon is the richest man in Russia and the 34th-richest in the world. With his name across many of the ‘richest’ lists, this oligarch is one of the most successful names in the business world. Even though he made his fortune through mining and metal industries, Usmanov’s business is not confined to this sector. In fact, he has business ventures into publishing, telephone and internet industry as well. Alisher Usmanov is the majority shareholder of Metalloinvest. He also owns Kommersant Publishing Houses. He is the co-owner of Mail.ru, which is the largest Russian internet company that has shares in web portals like Vkontakte and Odonklassniki. Alisher Usmanov is also a significant shareholder of Facebook, Twitter, Alibaba, 360buy and ZocDoc. He co-owns the second largest mobile phone operator in Russian – MegaFon. Usmanov is also the chairman of Gazprom’s investment holding subsidiary. While Alisher Usmanov remains a man shrouded in many a controversy, his family tree suggests humble, straightforward background. Let’s take a look at the AlisherUsmanov’s family tree. Alisher Usmanov’s father was a state prosecutor in Tashkent, the capital of Uzbekistan. Alisher Usmanov was born in 1953 in the provincial town of Chust but he spent his entire childhood in Tashkent. 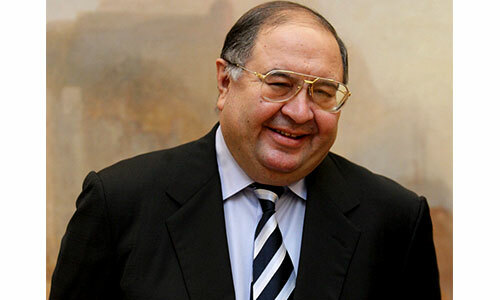 Bakhodir is the younger brother of Alisher Usmanov. As Alisher had no biological child of his own, Bakhodir’s son Bobur was considered the sole heir of the billionaire until his unfortunate and untimely death in a car crash in March 2013. 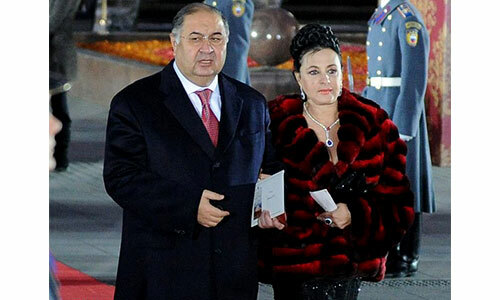 Alisher Usmanov married Irina Viner in 1992. Irina was born in 1948 in Samarkhand, Uzbekistan. She has an acute interest in gymnastics since she was very young and took up the sport at the young age of 11. She worked as a coach of the national rhythmic gymnastics team in Tashkent. In 1992, she was invited to coach the Russian national team, for which she moved to Moscow. Since 2001, she has been the head coach of the Russian national rhythmic gymnastics team and in 2008, she became the head of the Russian Federation of Rhythmic Gymnastics. Alisher Usmanov and Irina Viner do not have a child together. In fact, Alisher has no biological child at all. Irina Viner has a son from her previous marriage – Anton Viner. 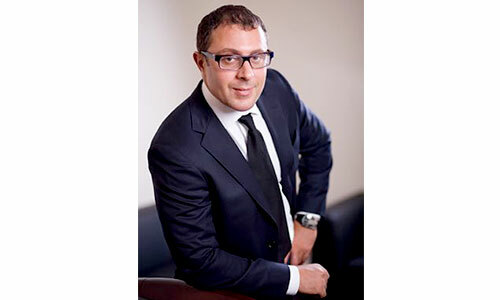 Anton Viner, Usmanov’s stepson, is the co-founder of a chain of restaurants (Uryuk and Tel-Aviv) and tanning parlors (Sun and City). He also founded the development company Khimki Group. Alisher Usmanov is the president of the international governing body of fencing and is a major shareholder in Arsenal Football Club. His prolonged attachment to sports was reflective in 2008 when his Metalloinvest group sponsored Dinamo Moscow football team. However, his career has also been repeatedly bombarded with accusations of fraud, crimes and political favors. Usmanov’s net worth is currently $18.8 billion as of September 2014.